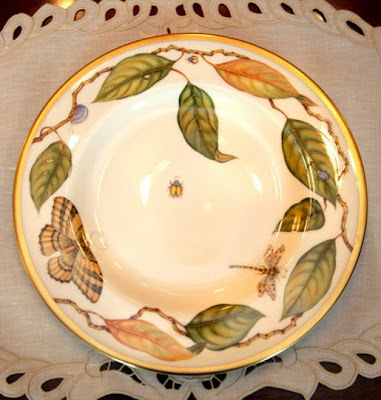 CONFESSIONS OF A PLATE ADDICT: Let's Shop the White House China Room!! 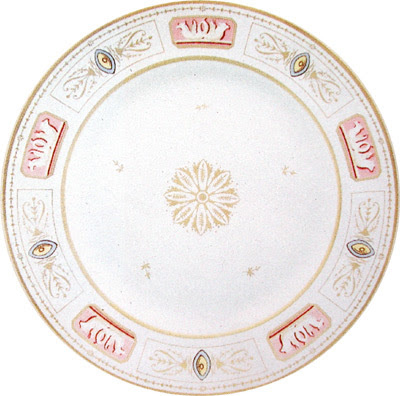 Let's Shop the White House China Room!! 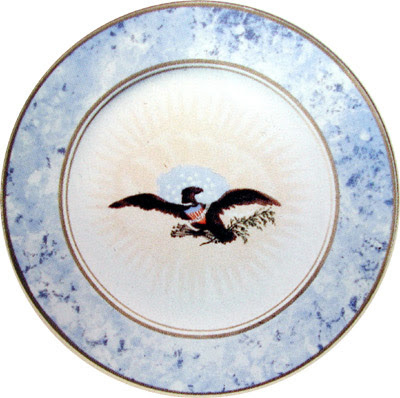 After my post on the recently unveiled George W. Bush White House china, I became curious about the china patterns chosen by other administrations, so I set out on a quest to get a peek into the China Room at the White House. I didn't have to look far. 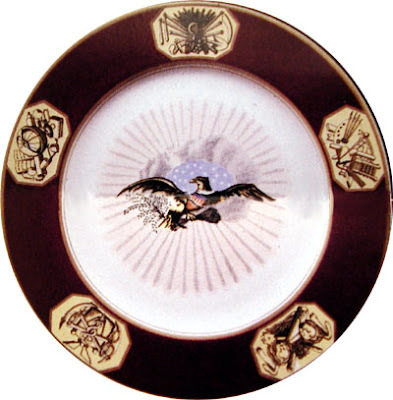 I found a wonderful website, the White House Museum, which not only gives us a look at the China Room, but photos of the existing china patterns for many of the Presidents all the way back to George Washington! So instead of shopping the antique store for china...let's shop the White House! 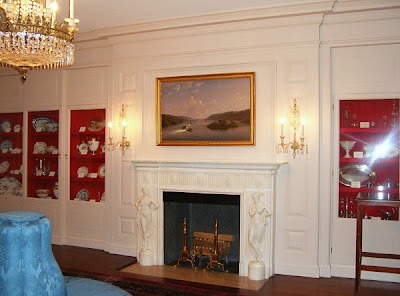 The China Room, it seems, is not where the White House china is kept, but where representative pieces of it are displayed. Somehow I had pictured cabinets to the ceiling full of stacks and stacks of wonderful old plates and rows of cups and saucers and gorgeous soup tureens, but I'll take this, if I ever get a chance to see it! 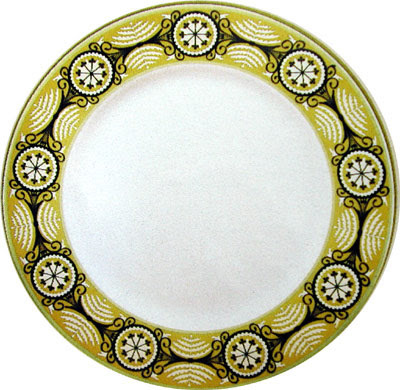 Remember that even though the President's name is associated with the china, it is actually the First Lady and her taste that are represented by the pattern. Let's see what we can find! ...and this is the informal Residence china. You can find out more by clicking here to check out my previous post. 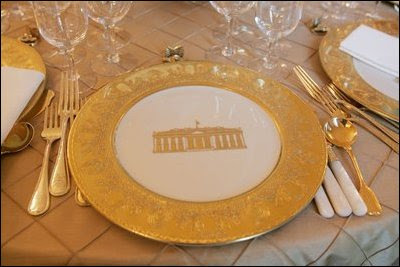 This is Bill Clinton's famous yellow china...very elegant. 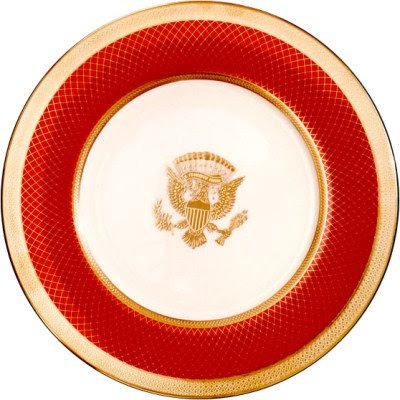 Here is the Ronald Reagan red china. I love the basket weave pattern. This pattern represents the Lyndon B. Johnson White House, but of course everyone calls it Lady Bird's wildflowers. Aren't they wonderful? Some of the older patterns seem surprisingly modern. I'm having a hard time choosing a favorite, so I'm allowing myself two! I think I'd have to choose the Thomas Jefferson for a formal pattern and the George W. Bush informal pattern for every day! 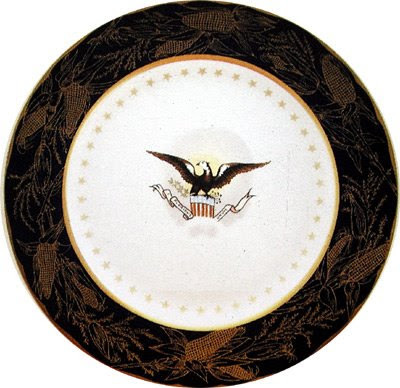 If you were shopping from the White House China Room, which patterns would you choose? 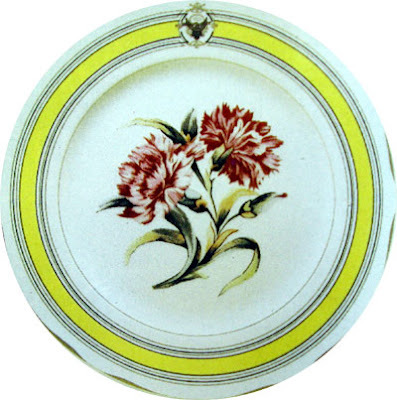 All beautiful plates. Do they all get new dinnerservices when they get in the White House. Wow. 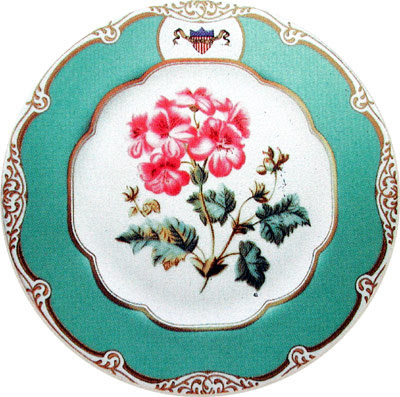 My favorites are the red Ronald Reagan plates and the flower plates of Lady bird Johnson. Definitely James Polk. Thanks for showing us this great info. Wonder what Laura Bush's looked like to have cost nearly 1/2 million $!!! Hi Debbie! Thanks for visiting my blog. I love your blog's title because I am a fellow dish lover. It is really hard to pick a favorite out of those that you posted. My top three are Ronald Reagan, James Madison, and Lyndon B. Johnson. I'd love to see all of the beautiful dishes on display. Love your blog. I'm a fellow plate addict. 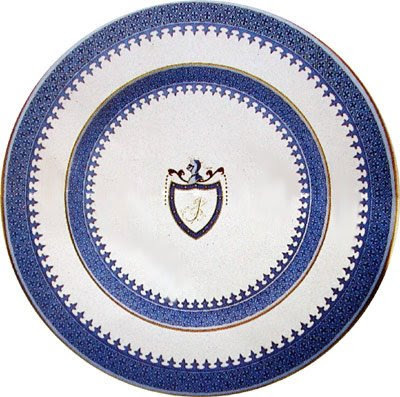 Being a blue and white fan I love Thomas Jefferson's pattern. Choice 2 is Franklin Pierce. Thoroughly enjoyed seeing the china room! 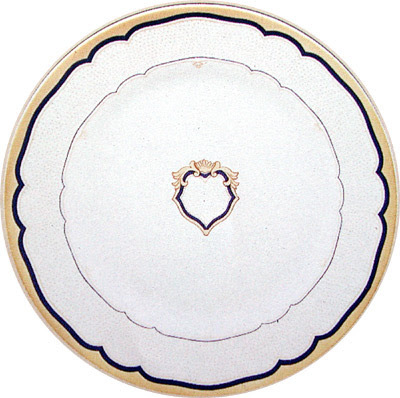 Debbie, I like the Polk china (which has been reproduced), and I like Jefferson's. 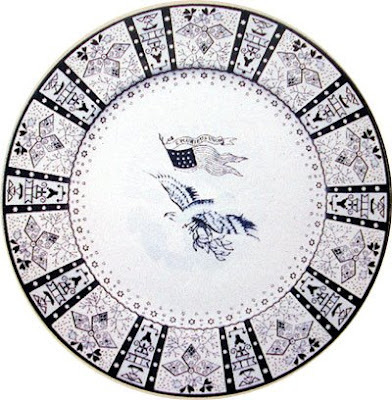 There's some sort of china (a different pattern from the presidential) that was reproduced for Washington by Mottahedeh, and I love it, too! Maybe the Society of Cincinnatus (sp)? This was fun. Thanks for sharing! 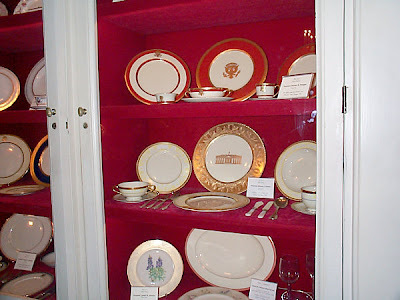 When we toured the White House a few years ago we got to see the plates. Beautiful! Thanks for your tour of closeup pictures, I loved it! 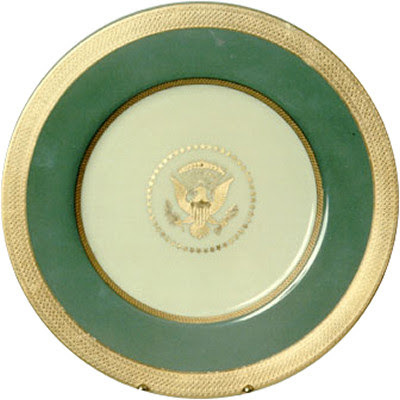 I noticed that a number of the plates display the Presidential seal. I wonder if that helps to deter the theft of a piece of the china by a souvenir seeking guest. 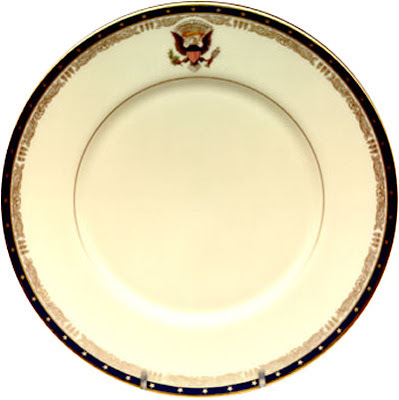 For a formal service I think I would choose the Clinton china and for a more casual setting probably the Johnson china would serve very nicely. Ils sont si merveilleux, ne sont-ils pas? Eh bien, je dois le dire, je choisirais Jefferson's, Pierce, et de Regan! Vos messages ne jamais décevoir, Mme Debbie ... Je me sens toujours comme si j'avais eu le plaisir d'absorber les éléments de connaissances tout en discutant avec un ami! What a great post! I tried to pick just one but couldn't. Thank you so much for taking the time to creat this lovely tour for us. 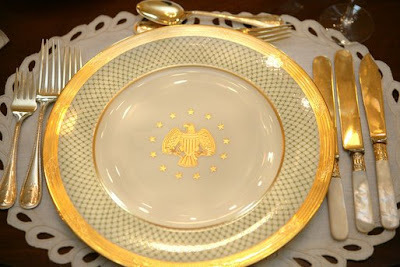 Oh my goodness...I saw several I loved, but the Ronald Reagan red china really stood out. Both of the Geo. 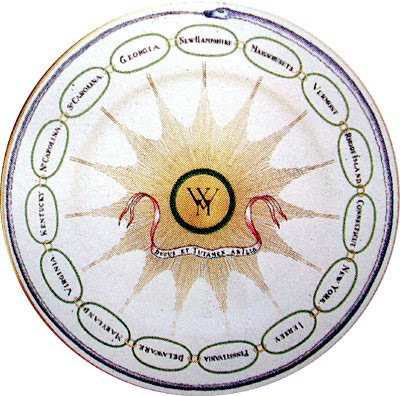 W's china are favorites...too bad they never got to use them or did they? Hi Bo... No, sadly, I don't think so! I would at least have a hamburger on it before I left, though!! 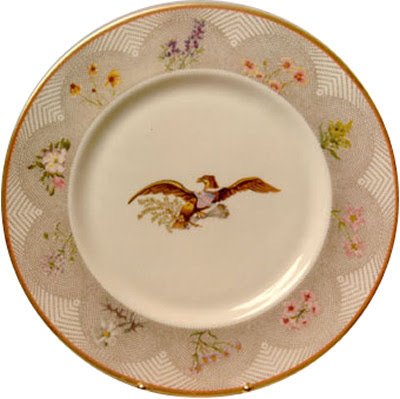 Hi Glenda...I added the Bush china to the post, since several people had not seen it. That changes my informal favorite to the Bush rather than the Johnson, I think. Thanks so much for this post. I love the Reagan formal and the Bush informal. All are beautiful. Each one of these plates are so different. I am going to have to narrow it down to three. I am the type of person who loves everything! I cannot pick just one, it is impossible for me. Ok, so they are Ronald Reagan, LBJ & James Polk. Thank you so much for taking us on the tour. Ronald Regan and Lyndon Johnson. I hope you have a great weekend. Debbie, there is an award for you on my blog because you are such a wonderful blogger! These are all lovely patterns, but I would definitely choose "W's" china! About that iced tea goblet and iced teaspoon...yes, the teaspoon remains inside the goblet if there is no saucer or spoon rest provided; i.e., at the Red Lobster! Oh my goodness! I love them all! If I have to pick a favorite it definitely would be the Bush pattern - of course it may be because he is a favorite of mine! I also love Polk's design. The story relayed in your original post on the White House china about a guest's thievery or attempted thievery wasn't by me. 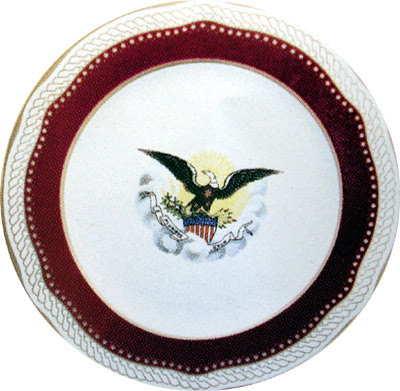 The reason I chose the Clinton China wasn't because of the pattern, but because of the color. I think it would coordinate with most any floral arrangements and leave plenty of room for variety in the choice of flowers for the arrangements. I do love the George W. Bush/Laura Bush patterns...lovely. It's also funny how they reflect the styles. And oh, I remember the kerfluffle over the Reagan china...he was the first president I voted for and I just couldn't understand the brouhaha...the White House represents US...and there had not been new china in years....and it was a GIFT! Boy, get over it!